Welcome! A couple months ago, I did a video showing several ways to use the brilliant Wreath Builder products from Gina K Designs. Well I am back with more ideas! This product is SUCH fun to use and can be used in many ways. Swoon! I just love the Wreath Builder Templates (SSS | GK)! If you didn’t see my original video, please check it out HERE. Today I just expand on those ideas and step things up a bit. To do these techniques, I used the Wreath Builder Templates (SSS | GK). I used them along with the coordinating stamp sets but you could use them with stamps you may already have. But those templates are a must-have! My first card shows how to create a window in the center of the wreath… and a tri-fold opening. I created the wreath with the Gina K Autumn Wreath Builder Stamp Set (SSS | GK) and Gina K Inks (SSS | GK). I added a gold heat embossed sentiment on the inside of the card, allowing it to show through a circle I die cut on the front. Inside, the card folds open and reveals a spot for a personal message. 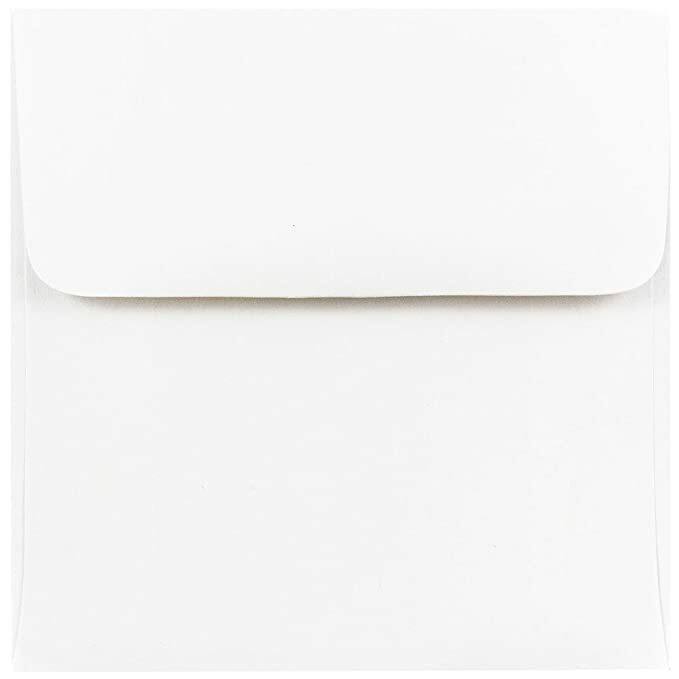 This card is 4 1/4″ x 4 1/4″… so I used a 4 1/2″ x 4 1/2″ envelope. The sentiment on the envelope is from the Gina K Happy Mail Stamp Set (SSS | GK). This next card is my favorite. I simply created a wreath with the Wreath Builder Templates (SSS | GK), Autumn Wreath Builder Stamp Set (SSS | GK), and the original Wreath Builder Stamp Set (SSS | GK)… but this time cut it out so it looked like a wreath. I also created a hole on the front of the card to show the sentiment inside. The sentiment is from the Gina K Inspiring Poppies Stamp Set. You can also use the Wreath Builder Templates (SSS | GK) to create quick cards with just a couple of stamps. Here, I used two leave images from the Gina K Just a Little Stamp Set (SSS | GK) and created a winter wreath. I added a simple sentiment and gems. Easy! My last card shows that you can use the Wreath Builder Templates (SSS | GK) to fill a background… not just for a wreath. Doing this stamping with the Gina K Autumn Wreath Builder Stamp Set (SSS | GK) was such fun! Want to find the products I used? I have listed them below. (Compensated affiliate links used at no cost to you. Thank you! Affiliate and product disclosure can be found here. All products were personally purchased except those with an asterisk or the stamps from Gina K. As always, this post was NOT paid for or sponsored.) Click on the icons below each product picture to go to a favorite store. So many pretty examples. Thanks for sharing. Great cards. I have the wreath builder stamp and stencil template set, so I like your ideas. Thanks. Brilliant! What a great idea and product. These cards are so lovely! Thanks for sharing them and this fabulous template with us. Beautiful as always!! I love wreaths and these are precious!! Thanks I so love your videos. These cards are great. I can’t wait t give this a try. Great video and great cards! I bought the first set shortly after you published your video on it. While I love the results, making a card takes so much time – for each different element I had to ink, pick up the paper and turn it 8 times. It took close to 2 hours to make a card. I ended up doing a second one with just eye-balling my secondary stamps to save time. Wish I could be 100 % supportive, but I do love the results! They are all so beautiful and the leaf wreath and the last one are my faves. Well done. I have the wreath builder stamp/template set and love it. I have to try using larger images like you did on the leaf card. Thanks for all your inspiration, Jennifer. Beautiful cards. Beautiful cards! I have a mini Misti and NEED the larger one, or a stamp platform before I can use the templates. Thank You for another wonderful video. Love your cards,they are beautiful. The wreath builder stencil is great. Great technique. Thank you for the great video. These are such lovely cards and I now have to have the wreath builder and a few stamp sets! Great video and thank you. Just lovely! I think I need to try the Wreath Builder! You are so incredibly clever and gifted! Thanks, as always for sharing your wonderful talents so generously!! Thanks for another very helpful video! I wasn’t sure if I “needed” the wreath builder set when it first came out but the more I see it used and see the type of stamps Gina K is releasing so we can build even more wreaths, the more I want the sets. Of course, your beautiful cards and great videos showing how easy it is to use these sets make it pretty much impossible for me not to want to start building wreaths. 🙂 Thanks! Such beautiful cards! Especially love the look of the one you cut out. I have the templates and original stamp set – looks like I need to add the Fall stamp set to my collection! Thanks for your ideas and the time you took to make a video. I am really liking the Wreath builder stamp set and template. I really didn’t get a chance to watch how to do it until this Gina K’s video and was very impressed with the results. I like how you started at the top side to make the wreath. I’m going to purchase her new stamp set and template. Thanks for the great ideas to use with this wreath builder template. Wow! These were so beautiful and looked easy. That’s a very good bargain if you buy the bundle. I’m interested in buying the templates as they can save allot of time. Thanks for all you do! Awesome projects! Great technique video! I especially love the Blessed leaves card! This template looks like so much fun! Definitely going on my wish list. What else can I say? I have the wreath builder set and templates and had to order them when I watched your first video…Amazing, amazing, amazing! You make it look so easy! I too have the mini Misti and just got the Stamparatus from Stampin’ Up and templates should fit in it just fine. Am still recovering from foot surgery so am unable to go to play in my stampin’ space. Can’t wait til I get the “go ahead” to be able to be on feet again! Thanks, Jennifer, for making my healing time so easy! So many fabulous looks! Need to add this to my collection — thinking even I can do this!! Thanks again for sharing your inspiration and kindness!! Thanks for showing more of these and giving us more ideas. These wreath builders are fun to use and can be addictive, as you say! Love your cards! Wow!!! Love all your cards!!! Fall is my favorite season, and your fall card captures it perfectly!!! Great cards Jennifer, I love the autumn card, so gorgeous and clever to use the template for such a card to. Thank you so much for these awesome cards. Lovely cards, Jennifer! Love the templates & Gina’s wreath set. Will be adding those to my stash soon! The Gina K Wreath Builder is better than sliced bread. I’m a klutz but the templates are so easy and great to use ! I so appreciate all your ideas for using the stamping bits and pieces that I so often I overlook. Brilliant! Thank you! Gorgeous cards! The hello friend and blessings are fabulous! Your cards are so beautiful! I missed the post on the wreath builder, so this is new to me! What a fab idea! Ordering from a USA company is a no,no for me, (postage rates and possibly custom charges), and I can’t find a European seller. I’m wondering if trying to make my own template would be breaching copyright? It’s a fab idea and your cards are just a delight to behold! God bless you and yours. thank you very much for sharing another beatifull idea with us. You are so amazing and your ideas so inspiring, It’s unbelievable. I am always looking forward to more ideas and videos comming from you. Your Passion and ideas are magnatic (I am not a native speeker so I am not sure if that is the correct word for it). Unfortunatelly I can not get those stencils in Germany, so I have to find a way to get them. But nevertheless, again thank you very much! I love these cards and how easy it appears with the stencil. I can’t wait to try this technique. These are beautiful cards! Love your ideas and videos. Thanks so much for sharing with us!! Fun technique and beautiful results!! Must CASE!! Thanks for much for the fab video!! Dear Jennifer, thank you very much for sharing another beatifull idea with us. You are so amazing and your ideas so inspiring, It’s unbelievable. I am always looking forward to more ideas and videos comming from you. Your Passion and ideas are outstanding and magnetic. Unfortunatelly I can not get those stencils in Germany, that is really a pitty, so I have to find a way to get them. Such wonderful tips and finished cards! My only comment/question is regarding the ink colors you used. You started off telling us, then showing the name at the top if we were quick enough to notice, then you just kept changing colors. What colors did you use on the second and third card? Thank you! These cards are all amazing. I especially like the one you did covering a full panel with the falling leaves. It is an awesome design and I can’t wait to give it a try. Thanks for all you do to inspire the stamping world.